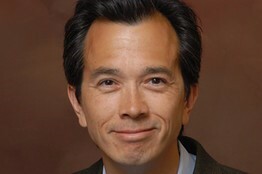 "Globalization in Reverse: What the Return of Borders Means for Business Leaders and Policy Makers"
Greg Ip is one of the country’s best known economics journalists. He is currently chief economics commentator of The Wall Street Journal and writes about U.S. and global economic developments and polic y each week in the Capital Account column and on Real Time Economics, the Wall Street Journal’s economics blog. From 2008 to January, 2015, he was U.S. Economics Editor of The Economist magazine. From 1996 to 2008, he was with The Wall Street Journal as reporter covering financial markets and economics. He appears regularly on radio and television, including National Public Radio and the PBS Newshour, and on CNBC, the country’s leading business news channel. He is the author of Foolproof: Why Safety Can Be Dangerous and How Danger Makes Us Safe, published by Little, Brown in October, 2015. He is also the author of The Little Book of Economics: How the Economy Works in the Real World (Wiley, 2010). Reservations: Wharton Club Members & Guests Only: $30/person, inclusive, paid in advance. Cash bar.